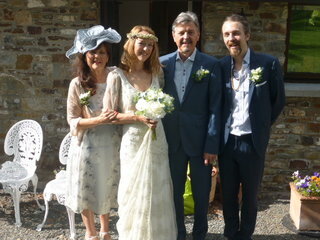 We’ve just spent a long weekend in beautiful Cornwall at my sisters wedding. Weddings are always special, but this was especially special! My own little sis!!! 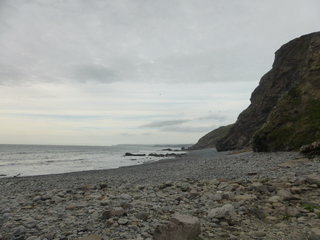 Cornwall added a spectacular backdrop to everything we got up to. I had been to Cornwall as a three year old, from which I surprisingly have a load of memories; staying in little farmhouse B and B’s, the intense smell of fresh manure, cream teas and the iconic Cornish lanes, where vegetation rises high above and it seems like all the roads are cut out of massive bush! Its certainly a part of the world that leaves an impression. 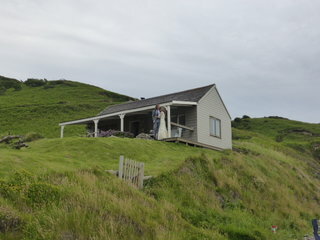 My sis Laura and her new hubby Paul stayed in the most stunning little wood cottage almost on the beach, surrounded by dramatic cliffs and raging, white surf. We all said that it seemed like South Africa or Australia, we couldn’t believe that these kinds of coastlines existed in our little island. The surfers were loving it and there seemed to be a gang of pirates having a fire just down the beach. My sis’s ceremony was on the beach and was a beautiful spiritual affair, although not ‘religious’, we revelled in the beauty of nature and the good things we all share; love, compassion, hope and freedom. We also ate some sensational vegan food, prepared by the awesome Annie (who worked her socks off). It was a Middle Eastern/ Southern Med style buffet, something Annie was vastly experienced in. It showed. Spicy carrots, green cous cous, fresh pitta, roasted pepper and almond puree, smokey aubergine salad and piles of crispy borek (with spinach and pine nuts). Jane and I thought we’d died and gone spinning into a Lebanese form of nirvana. I have rarely enjoyed food so much and the backdrop of the Cornish coastline, surrounded by our nearest and dearest, just added to the experience. Jane and I drove our old Peugot estate, Hooty, down to Cornwall and camped in Hay on Wye for a night (central Wales), a real hot spot for second hand book shops and, as it turned out, vegan food. Wahee! The perfect combo. I love a good second hand bookshop, the smell alone transports me to a place of wonder and excitement. I picked up a couple of antique books, precious heirlooms. We also went to the amazing Old Electric Shop, a space for old vintage clothes, records and interior stuff as well as vegan food. When Jane and I walked in, they were playing one of our favourite tunes at the moment, ‘Better Days’, we felt right at home immediately. We missed out on their lovely looking lunch menu, we had to hit the road, but it all smelled amazing and their vegan cakes proved to be a full power breakfast as we took on the Glastonbury traffic. We hope to go back to Hay on Wye this winter to go deeper into the bookshops and explore the beautiful local scenery. Tabouleh is a proper southern Med classic. Combined with great olive oil and sweet roasted cauliflower it makes a substantial salad. I love the spice mix baharat – if you can find it, substitute it for the ground spices. I like to use pomegranate molasses in the dressing – it gives a funky reddish tinge and has a sticky tang all of its own. For a special occasion, go the whole hog and sprinkle over herbs, baharat, pomegranate and chopped toasted almonds. Gluten-free option: replace the bulgar wheat with millet. In a frying pan, heat the oil on a high heat, then add the cauliflower and begin to fry. Stir regularly and cook for 10–12 minutes. Once the cauliflower has softened and the edges are slightly charred, sprinkle over the ground spices and salt and cook for a further 2 minutes, stirring well. Cover and leave to cool. The cauliflower should be nicely coated with the spices. For the Pomegranate Dressing simply whisk all the ingredients together in a bowl. 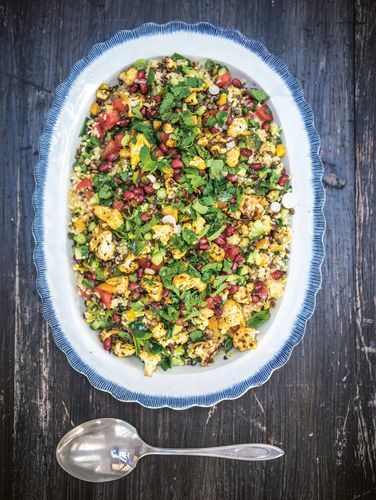 Add three-quarters of the lentils to the bulgur wheat, along with the cauliflower, herbs and the rest of the ingredients, then pour over the dressing and mix gently together with your hands until well combined. Place in a wide, shallow serving bowl and spread out evenly. Sprinkle over the remaining lentils and garnish with pomegranate seeds and herbs. 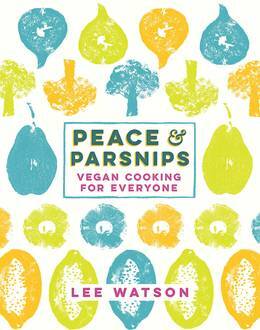 Quick Peace and Parsnips update – we’ve recently been in Reveal Magazine, Daily Mirror Magazine and the Waitrose Weekend. The Vegan Life Magazine has just done a review which says its ‘…..probably the best looking vegan cookbook we’ve seen.’ Which makes us smile. Also, thanks to all who have left positive feedback on Amazon, Waterstones, Chat Rooms, etc its amazing to hear what you all think and to see people cooking the recipes makes all the effort of writing the book more than worthwhile. Viva Veggies! Catch up with us this Saturday 4th July at the Newcastle Vegan Festival, where Jane and I will both be doing talks and then in Flat White cafe in Durham on Sunday 5th July at 10am for a book signing with perfect vegan coffees. Recipe originally posted on the brilliant Happy Foodie site.